The city of Barcelona has plenty of tourist information centres and offices, which are called ‘Oficines de Turisme’ in Catalan and ‘Oficinas de Turismo’ in Spanish. You’ll also find various cabins that serve as tourist information points, and here you’ll be able to have your questions answered about the places in the city that you’d like to visit, whether you need information about opening hours of museums or sights, or how to get there quickly and easily. You’ll also be able to pick up leaflets and maps of the city. The tourist information centres, which are located inside various buildings throughout the city centre and in particularly areas popular with tourists, offer all sorts of information and services for tourists. 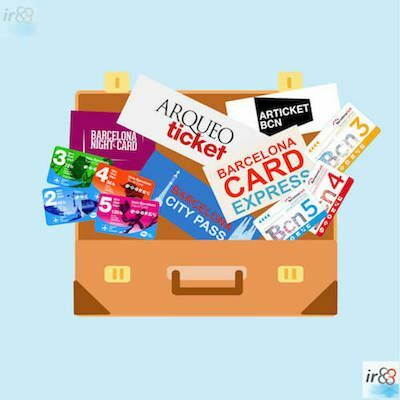 Below we have given you a list of all the official Tourist Information Centres within Barcelona. * NB not all the tourist information centres offer all the services indicated. The central Tourist Information Centre is in Plaça de Catalunya, and it offers more services than the other centres. Barcelona’s tourist information centres can be found throughout the city, in the most central areas, and many of them are in or near the most well known sights. Below we have given you a list of all the official tourist information centres, as well as a map which shows where each of them is situated. Address: Plaça de Catalunya, 17-S. Opening hours: Every day of the year from 08:30 until 20:30. 24th December until 19:30 and 31st December until 20:00. Services available: This is the biggest of all the tourist offices, and the staff will be able to help you with last-minute hotel reservations, various products for tourists and VAT refund – Global Blue Tax Free. Address: C/ (street) Ciutat, 2 (on the ground floor of Barcelona’s City Hall). Opening hours: Monday to Friday from 08:30 to 20:30. Saturdays from 09:00 to 19:00. Sundays and public holidays from 09:00 to 14:00. 24th December open until 19:30, and 31st December until 20:00. Address: Sants Station (Estació de Sants). Plaça (place) dels Països Catalans, s/n. Opening hours: Daily from 08:00 until 20:00. 24th December from 08:00 to 19:00, 26th December from 08:00 to 14:00 and 31st December from 08:00 to 19:30. Address: Within Terminals T1 and T2 of Barcelona Airport. Opening hours: Daily from 08:30 to 20:30. Address: Plaça (place) Portal de la Pau s/n. Opening hours: Daily from 08:30 until 20:30. Address: Col·legi Oficial d’Arquitectes de Catalunya (Plaça Nova, 5, Barcelona). Opening hours: Monday to Saturday from 09:00 to 19:00. Sundays and public holidays from 09:00 to 15:00. Address: C/ (street) Pelai, s/n. Opening hours: Monday to Saturday from 09:00 to 20:00. Address: Pl. (place) de les Glòries Catalanes, s/n. Opening hours: Monday, Wednesday, Friday and Saturday from 10:00 to 17:00. Address: Gran Teatre del Liceu (La Rambla, 51-59). Opening hours: Daily from 09:00 to 18:30. Address: Rambla de les Flors, 88. Opening hours: Daily from 09:00 to 21:00. Bear in mind that Barcelona’s tourist information centres are usually closed on 1st January and 25th December. Although we do continually update the opening hours as and when appropriate, they do change from time to time. Inside the Palau Robert and the Palau Moja you will find the Catalunya Information Centre, where you can get tourist information about the sights and things to do in the whole of Catalunya. The staff in the office will advise you and will do their best to answer any questions you may have. Opening hours: Monday to Saturday from 10:00 to 20:00, Sundays and public holidays from 10:00 to 14:30. Address: Passeig de Gràcia, 107. Opening hours: Daily from 10:00 to 21:00. In addition to the tourist information offices, Barcelona also has small portacabins, some of which are only open during the busier periods of the year), which are located outside and next to some of the most visited sights, and in particularly busy areas for tourists. They serve as information points, helping tourists especially at the busier times of year. 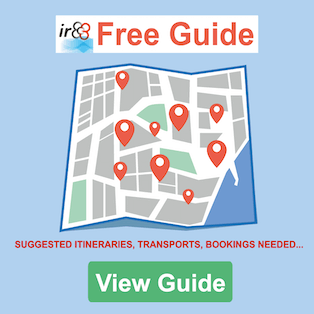 Although they don’t offer the same range of services that the tourist information offices do, they are very useful for some basic services, such as ticket sales for certain events and museums, maps, bespoke information for those who have questions about visiting the city’s sights, etc. ).